Roy Moore's campaign launched a last-minute court battle late Wednesday to block his loss in Alabama's special Senate election from becoming official. Democrat Doug Jones defeated Moore, a Republican former justice of the state Supreme Court who was endorsed by President Donald Trump, in the Dec. 12 election to assume the Senate seat of Attorney General Jeff Sessions. Moore has refused to concede the election, which he had been widely expected to win before allegations of sexual misconduct with underage girls emerged late in the campaign. Moore has denied all of the allegations. The Alabama State Canvassing Board is scheduled to meet Thursday afternoon to certify Jones' victory. 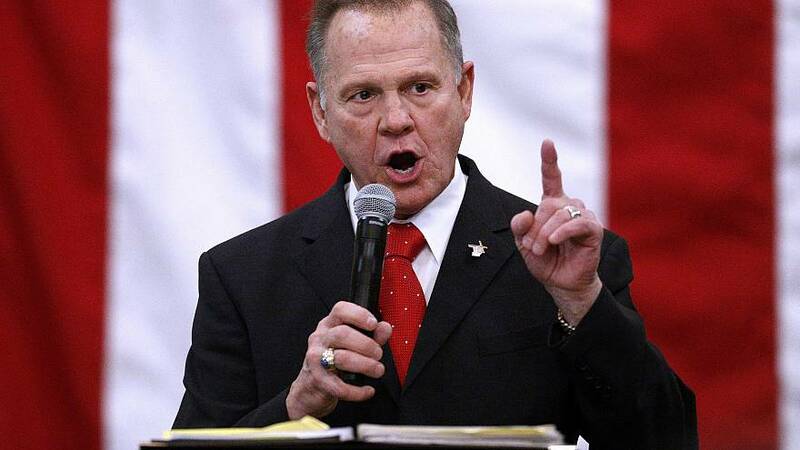 But the Moore campaign filed a complaint late Wednesday night in state circuit court in Montgomery, the state capital, seeking a temporary restraining order to postpone the certification, alleging "potential election fraud that improperly altered the outcome of this election." "This is not a Republican or Democrat issue as election integrity should matter to everyone," Moore said in a statement released by the campaign. Alabama Secretary of State John Merrill told The Associated Press on Wednesday evening that he has no intention of delaying the canvassing board meeting. "It is not going to delay certification and Doug Jones will be certified (Thursday) at 1 p.m. and he will be sworn in by Vice President Pence on the third of January," Merrill said. Moore's statement gives few details of the purported irregularities, which it says were substantiated "with a reasonable degree of statistical and mathematical certainty" by three election experts. The statement identifies only one of the experts, Richard Charnin, whom it quotes as saying the probability that the official election results were accurate was "less than one in 15 billion." Charnin, who says he has three degrees in applied mathematics, is a prominent figure among believers that the assassination of President John F. Kennedy was the result of a conspiracy. He has also argued that the Republicans stole the 2004 presidential election and that Hillary Clinton stole the 2016 Democratic presidential nomination. State officials said last week that they had found no evidence of voter fraud in the Alabama Senate race.